Finished size of pendant is approx 1"
Practice your ceramic painting skills with durable bisque pendants. 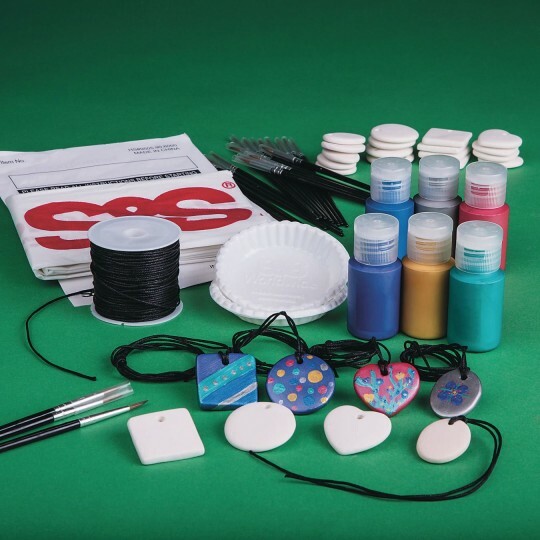 Includes pendants in four designs (Heart, Circle, Square and Oval), black waxed cotton cord, metallic paint, pointed-tip paint brushes, and instructions. Finished size of pendant is approx. 1". We use these for our camp kids and they make gifts out of them. 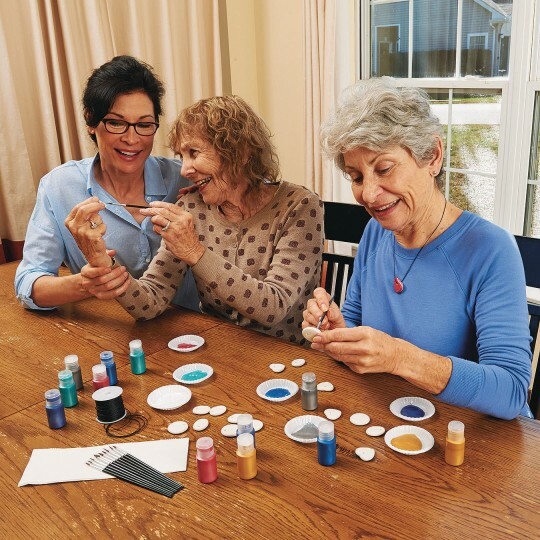 We are a SNF the residents loved painting their pendants. Some gave them as gifts. I see ladies wearing theirs often. Helps them feel good about themselves. 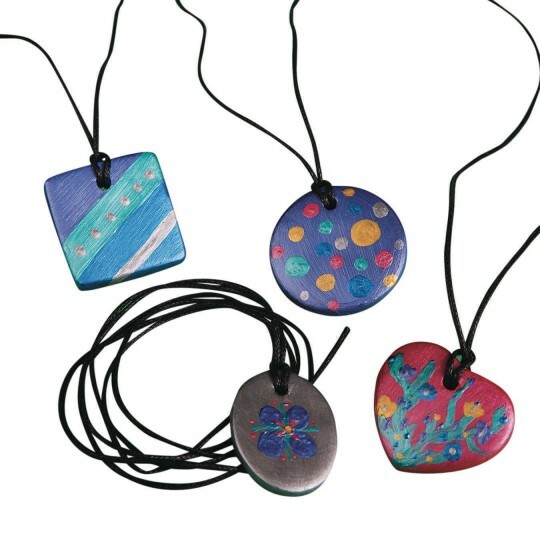 Our patients enjoy personalizing these bisque pendants with paint or collage with meaningful words or images. A good size for decorating. 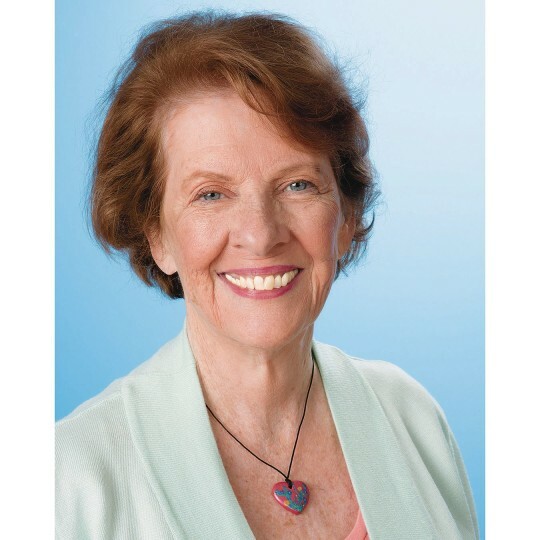 This was a perfect project for Assisted living residents that are higher functioning.